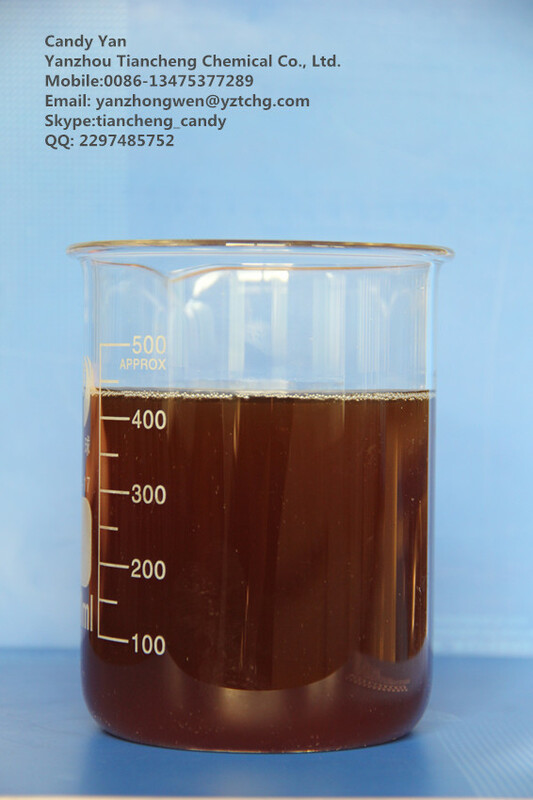 Emulsifier is a kind of cationic polymer which replaced the traditional cationic starch emulsifier. It has the multifunction of emulsification, protection colloid, retention, strengthening and so on. It can shorten the mature time in the sizing process and improve the stability and retention rate of AKD emulsion applied in cardboard, corrugated board and other kind of papers. It also can decrease the hydrolysis of AKD during the storage period and sizing process. Well mix the emulsifier with water pro rata . Then heated it to a temperature of 70°C. Melt the AKD wax and added it into the emulsifier solution, stirring strongly for 2 min and homogenize the mixture via the homogenizer one to two times. Cool it down and adjust the solid content by water and pack it by drum. Looking for ideal Akd Emulsifier for Making Akd Emulsion Manufacturer & supplier ? We have a wide selection at great prices to help you get creative. 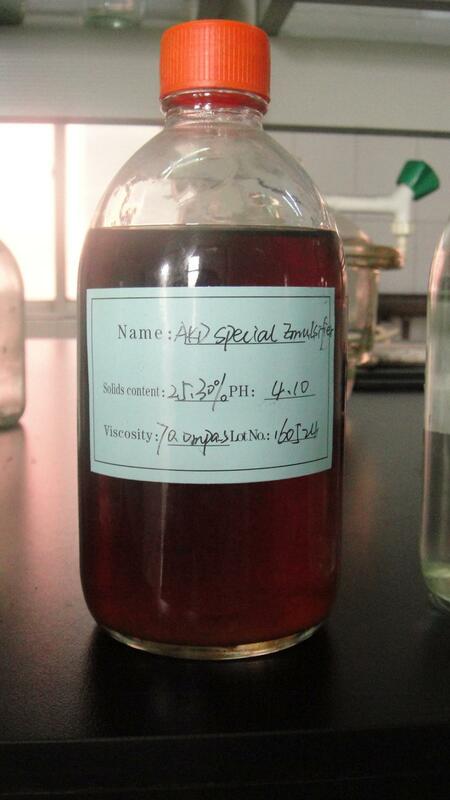 All the Emulsifier for Making Akd Emulsion are quality guaranteed. 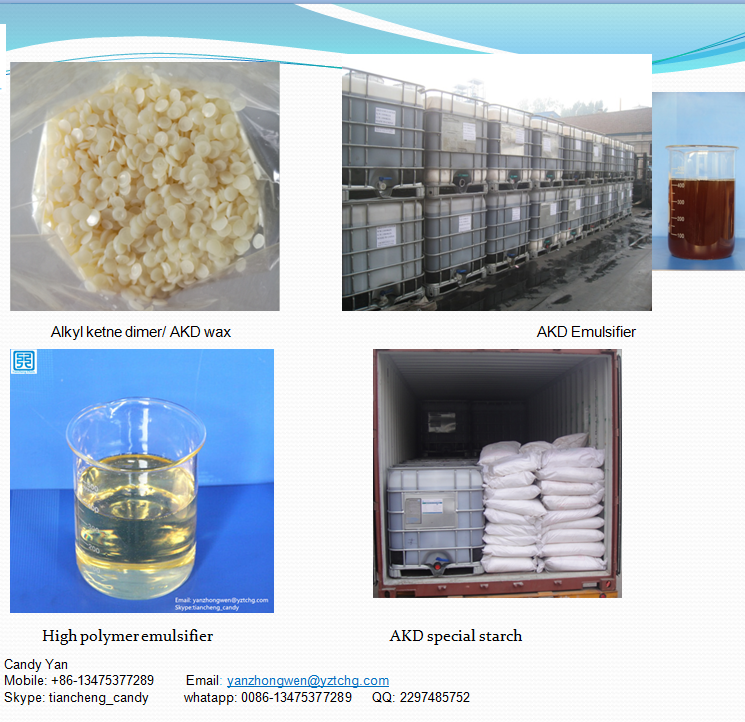 We are China Origin Factory of Starch Based Akd Emulsifier. If you have any question, please feel free to contact us.